The snowbirds in Florida, Texas, Arizona and California started ever so slowly their migration north toward the end of March. That began to put upward pressure on auto shipping prices as more people were vying for less space. The national auto transport system comes under immense pressure in April, which persists through most of May. 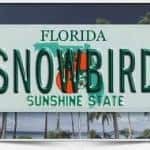 The number one place for car transport snowbirds quite naturally is Florida. And after Florida, it is Florida some more! Of course we’re jesting, but just barely. There are certainly snowbirds in California (Palm Springs), Arizona (Scottsdale), and Texas (Austin), but nothing quite like Florida! By early April of 2017, nearly 20% of all auto transport shipments nationwide will have originated in Florida, which has only 6% of the U.S. population according to the 2010 government census data. Conversely, 7% of all car shipping orders will be going to Florida. That means three times more vehicle shipments leaving Florida than coming. By the end of April, the auto shipping frenzy in Florida will only get worse as several times more vehicles will be waiting for an auto transport carrier to get their cars home. As a result, the cost or price to ship a car north from Florida in April (and May) will be more than double the rate shipping to Florida. Adding insult to injury, shipping a car to Florida will not only be cheaper, but also faster. Reason is that cheap freight is better than no freight at all, and many car shipping carriers return to Florida with empty spots. On any given day in April 2017, there will be several thousand vehicles waiting to leave Florida for the northern states. All of those vehicles are competing with one another for precious auto transport truck space. 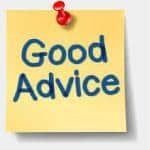 Our good advice to you booking an order originating in Florida, is to consider adding a tad more money. You are competing after all and sometimes just $50 extra makes a big difference. Our first of a kind car shipping quote calculator does a spectacular job of adjusting Florida pricing and gives you the customer the option of Expedited and Rush rates. That is exactly the sort of thing that will help alleviate customer stress and get your vehicle on the road in April. Book it securely online or call our customer service representatives at 800-600-3750.